Entry to this match is FREE with no ticket required. Fans are encouraged to enter via the giveaway zone at Gate 7. Gate 1 will also be open. Foundation members are encouraged to visit the Member tent at Gate 7 to collect their cap or key chain. Non-members can sign up to be a Foundation Member at the tent to support the inaugural team. 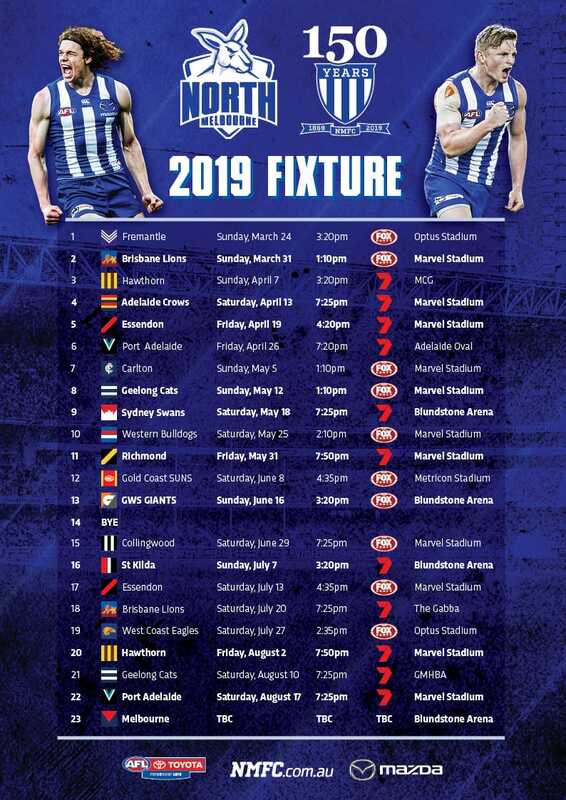 North Melbourne AFL members are able to collect their AFL Cap or Scarf at Gate 7. Foundation members have reserved seating in the RACV Central stand between RL6 and RL7. While barracking and supporting the club is a vital part of the game, offensive or aggressive behaviour (including yelling and swearing when dealing with club staff, agents or AFL or other event staff) will not be tolerated. Club members who consume alcohol on a match day are to do so responsibly. Drunkenness will not be tolerated. Club members who breach the behaviour code of conduct may face penalties including cancellation of membership without refund. The club endorses the AFL's stance on vilification and has a zero-tolerance for members or supporters that abuse the opposition, opposition supporters, or umpires on grounds of race, religion, gender and sexuality. The Roo Shop will be set up at Gate 7. Cotton On AFLW merchandise will be available for purchase. 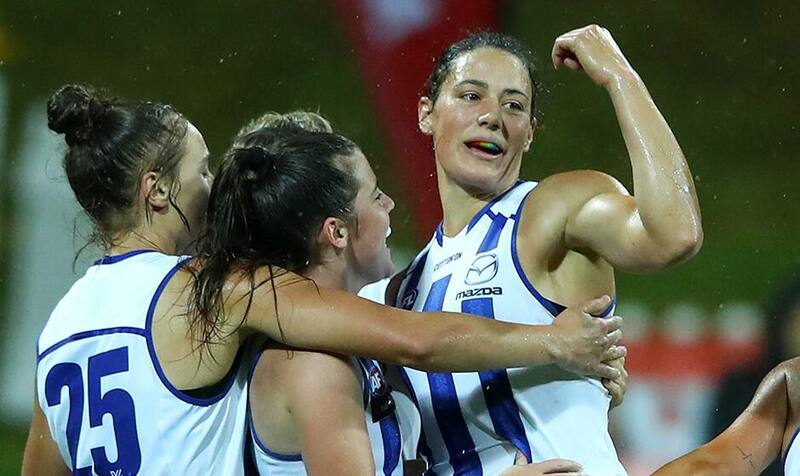 Follow @NorthAFLW on Facebook, Twitter and Instagram to stay up-to-date with the latest news and everything happening on match day or at Arden St.